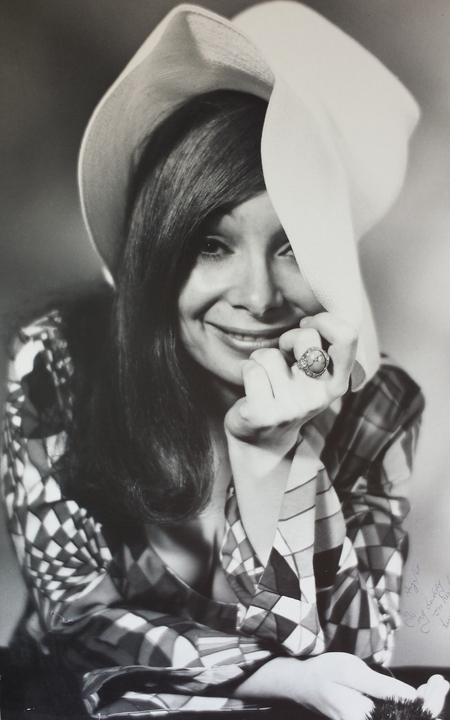 ​Judith Lander is an acclaimed cabaret singer and vocal teacher who made her name on Broadway, in Boston and touring Canada starting in the late 1960s. Currently based outside of Toronto, Ontario, Judith can be found hard at work as a singer, actor, composer, lyricist and voice teacher. "Think of your mouth as the rim of an ancient clay pot. Your true sound is in this vessel, waiting to be released. 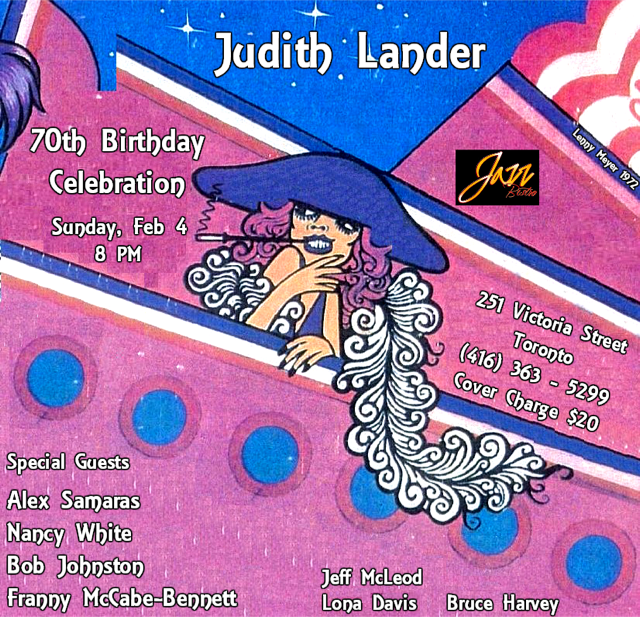 Join Judith and friends at the Jazz Bistro at a concert celebrating Judith's 70th birthday! Judith on "Berlin to Broadway" album cover, art by Lenny Meyer. 1972. Through the decades winds this musical tale of a girl searching for her true voice. Her journey begins in the ‘60s, from Winnipeg to Toronto, to the saloons of Northern Ontario and onto the international stage. Join Judith Lander as she returns to Soulpepper to premiere this new work, weaving a night of Weill, Brel and other composers, into her own compelling life story, a story which she navigates with humour, happy accidents, and the occasional sad song, drawn from life. No matter what you want to accomplish with your voice, there is an opportunity to make it a greater instrument. Whether you are just starting out as a vocalist, if you have never sung before, or want to reshape your operatic voice to create a musical theatre sound, the Landersystem™ approach will help you reach you goal.